Maureen McDonnell's attorneys note that she is not an attorney and has never been elected to office. Former Virginia first lady Maureen McDonnell said Wednesday that a recent appeals court decision rejecting her husband's request to overturn his corruption convictions shouldn't mean her own appeal suffers the same fate. McDonnell's lawyers filed a brief with the Richmond-based 4th U.S. Circuit Court of Appeals asking for her convictions on corruption charges to be vacated, or at least that she get a new trial. Her lawyers stressed that the former first lady was never a public official and argued that federal bribery laws apply differently to her than they do to her husband. A jury in September found McDonnell and former Gov. Bob McDonnell guilty of doing favors for a former nutritional supplements executive, Star Scientific CEO Jonnie Williams, in exchange for $165,000 in gifts and loans. Those gifts included luxury clothes for the former first lady. A three-judge panel of the 4th Circuit upheld Bob McDonnell's convictions in July. Last week, the full 15-member appeals court then rejected McDonnell's petition for a rehearing. The former governor said he is appealing to the U.S. Supreme Court. Both McDonnells have been sentenced to prison - the former governor for two years and the former first lady to one year and one day. They are both free on bond while they pursue appeals. In its filing Wednesday, Maureen McDonnell's legal team argued that the issues surrounding her case are different than the ones already considered by the appeals court in her husband's case. Specifically, the former first lady's lawyers argue that it would be unfair to expect her to know she was helping her husband violate federal bribery law by extending "routine political courtesies'' to Williams. "The issue in this case is whether an ordinary citizen who was not a public official was on fair notice that Governor McDonnell's actions would be deemed a violation of the federal bribery statutes,'' the lawyers wrote. Her attorneys note that Maureen McDonnell is not an attorney and has never been elected to office. "Instead, she is a high school-educated spouse of a politician,'' they wrote. Prosecutors are set to reply by Sept. 9. 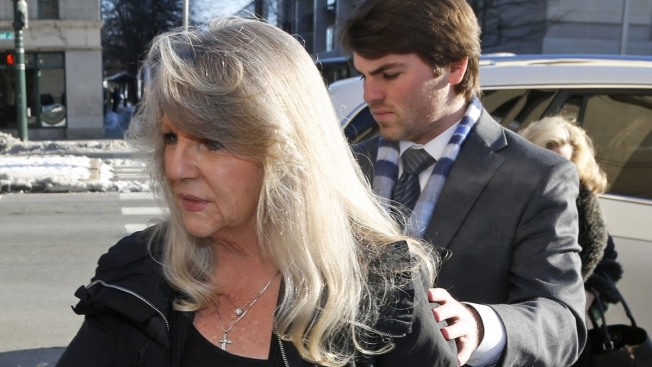 Oral arguments for Maureen McDonnell's appeal are scheduled for Oct. 29.